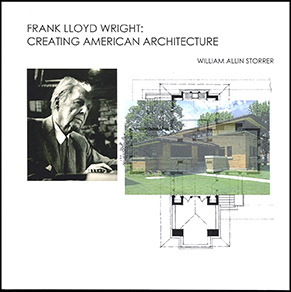 This site is maintained by William Allin Storrer, Ph.D., Adjunct Professor of Architecture at the University of Texas at Austin and author of The Frank Lloyd Wright Companion now in a revised edition, and The Architecture of Frank Lloyd Wright, a complete catalog, now in its fourth edition. To connect to Page 1 CLICK HERE. 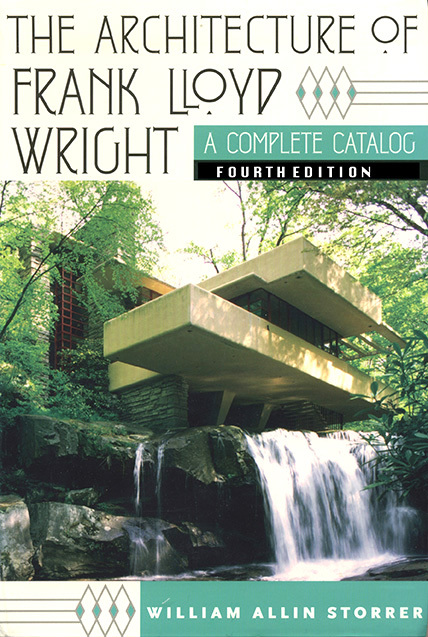 Much as The Architecture of Frank Lloyd Wright, a complete catalog will last long after I have died, and the Frank Lloyd Wright Companion will remain the one work with all of Wright’s built work with plans, the four Wright-related books here are equally important. The two written by me detail Wright from his birth in Bear Run Wisconsin first to his creation of an American Architecture (Prairie), then from 1910 to his discovering how to abstract from client and site to create unique and affordable housing for a Democratic America. In these, to make understanding plans easier for those not familiar with architectural practices, all are oriented with north at the top of the page. 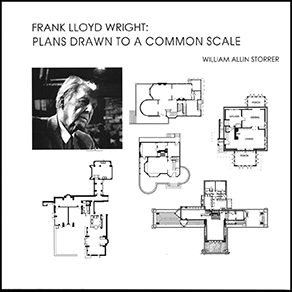 The third book is by me, but not written,” authored is the better term, for a volume showing for the first time ever the work of a great architect in plans all to the same scale, allowing a comparison of works by size. Size matters. built by abstracting the client’s character. MORE Wines by the Bay is THE book about two of Michigan's five AVAs (American Viticutural Areas). Up North Michigan, . 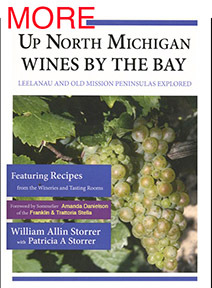 There are new wineries and wineries that have closed in the five years since publication of Up North Michigan: Wines by the Bay was published in 2013. This new edition is scheduled for publication in Spring 2018. 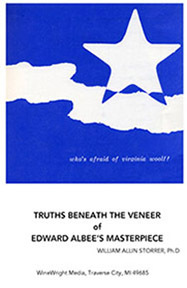 The final item is a study of Edward Albee'sWho's Afraid of Virginia Woolf? from four viewpoints. Something like Roshomon or the movie Z. Now here is a special offer. Order these books from WineWright Media and save a boodle! Also, the books authored by this website creator will be autographed. 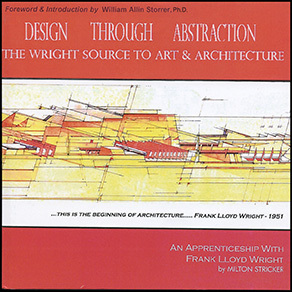 Creating American Architecture:	Retail $49.95,	Direct $30.00. 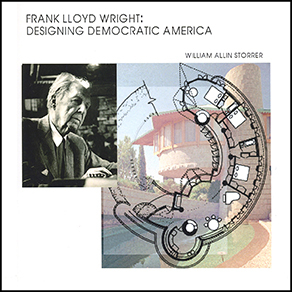 Designing Democratic Architecture: Retail $57.80, Direct $35. Plans Drawn to a Common Scale: Retail $50.00, Direct $25. 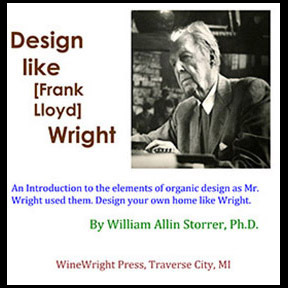 Design like [Frank Lloyd] Wright: Retail $39.50, Direct $20.00 Up North Michigan, Wines by the Bay: Retail $34.95, Direct $21.00. MORE Wines by the Bay: TBD. Who's Afraid of Virginia Woolf? : Retail $10.00, Direct $8.00. 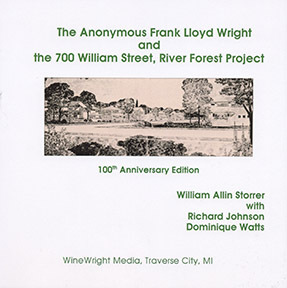 Anonymous 100th Anniversary Edition: Retail $25/00. Direct $20.00 The Architecture of Frank Lloyd Wright, A Complete Catalog 4th Edition; Retail $45.00, Direct $30.00. Add $4.50 for packaging and mailing, for any number of books ordered. If you order three or more books, you can leave off the $4.50. Mail your order with your check to; WineWright Media, P O Box 1733, Traverse City, MI 49685.